Jessica Garry Klaskin graduated from The University of Connecticut with a B.S. in Allied Health Sciences with a concentration in Health Promotion and a Psychology Minor. While attending college she worked as an aide in a Local Physical therapy clinic. She decided to continue her education at New York Medical College where she completed her Doctorate in Physical Therapy and graduated with distinction receiving the class award for Professional Leadership. 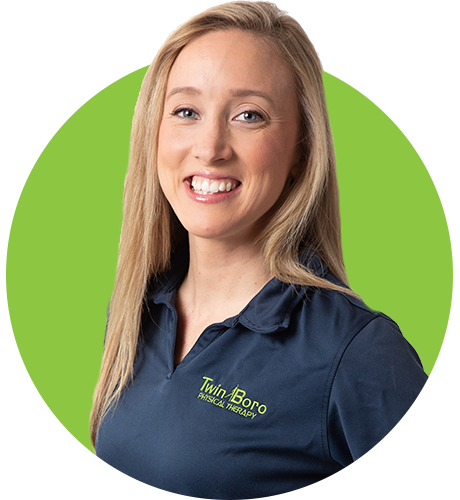 Jessica joined Twin Boro Physical Therapy in 2011 as a staff Therapist and advanced to become the Clinical Director of our Westfield clinic where she manages both the Physical Therapy and Occupational Therapy activities at this site. She treats all patients, from pediatric to senior, with respect while educating them on their diagnosis and the best course therapy. 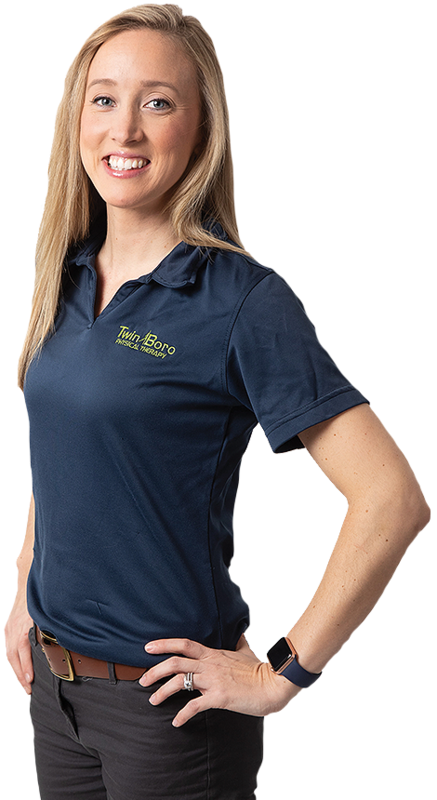 Jessica has also completed CE courses from Great Lakes in numerous disciplines including the treatment for concussions, mobilizations of the shoulder, cervical spine, lumbar spine, upper and lower extremities, myofascial release and the clinical use of Rock Tape. When treating patients or managing other therapists, Jessica implements Twin Boro’s One2FourTM Care Model to determine the “right level of health care” for each individual. This unique approach looks at the entire episode of care for the patient or athlete. This ranges from a relatively low level of function a patient might experience post injury or surgery all the way through to the peak performance required to return to their prior or preferred level of function. Therapists that skillfully combine manual therapy with evolving functional exercise along the One2FourTM continuum strive to achieve the individual’s “meaningful goals” and “desired outcomes”.